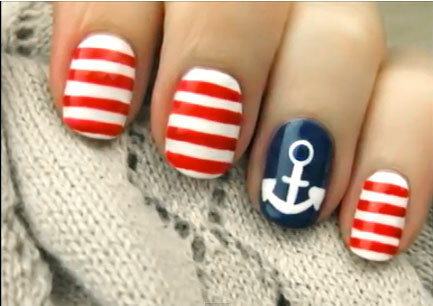 If you’re still unsure about the navy trend, you can always start off slow by incorporating some fun nails. Grab a navy blue hue or a crisp white color and get creative with your nails. P.S. – Crisp white nail polish looks amazing against tanned skin.